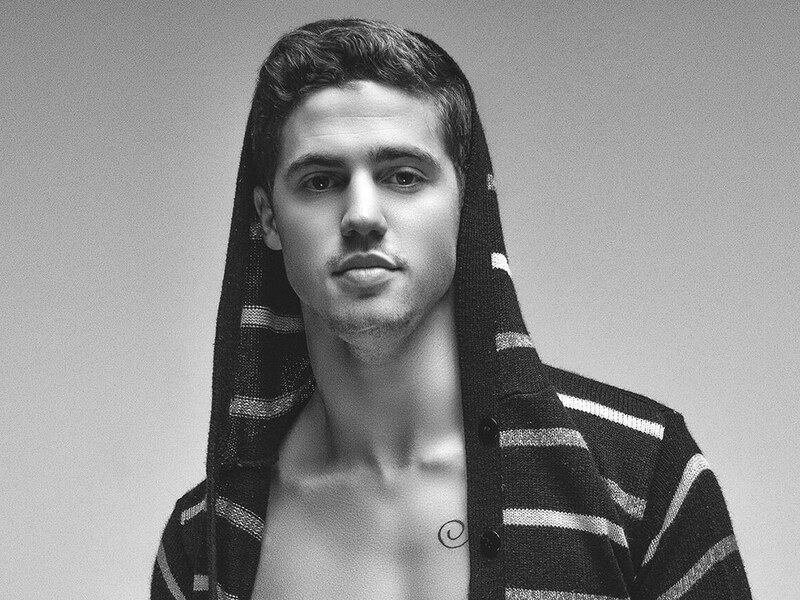 Check our interview with very talented Pop-heavy R&B singer Parker Polhill. With a passion for music that began when he was just 8 years old, Parker would record cover songs in his uncle’s home recording studio and release them independently. Shortly soon after, he organically received an overwhelming international response, which lead to a headlining national tour and over 10 million YouTube views. Parker’s beautiful falsetto vocals combined with his cinematic music videos has helped him break through the crowded musical landscape with a style all his own. Born and raised in Atlanta, GA, Parker always knew he wanted to pursue music and cut his teeth in the music industry performing at Eddie’s Attic in Atlanta Georgia, a venue where artists such as Justin Bieber, John Mayer, and Sugarland regularly performed and developed their fanbases. Hi Parker, please tell us a little about you. I’m just a kid from Atlanta that loves to create. I’m all about positive energy and good vibes. Either my uncle who introduced me to creating music when I was a kid or Larry. Larry is someone who has believed in me and given me the freedom/ space to create the way I want to. Without these two I would not be where I am today. My parents actually got involved with a country artist named Brett Young about 7 years ago. They found him in LA and backed him until he got signed to Big Machine. Through the experience with Brett I learned a ton about how the country music business works. The pop music business is super different though. I started by jumping into it as an artist. So many artists have influenced me. Chris Brown, Drake, Big Sean, Nelly, Brett Young… Honestly, I could probably name off 50 artists that have influenced me just because I listen to sooo much music. I decided to create music at first when I was 8 or 9 with my uncle because we thought it would be fun. Little did I know creating music would be my career. I only get nervous when I’m about to go on stage. Not the whole day before a show but 30 minutes till it’s showtime I’m pretty nervous. I’ve got so much incredible music coming out in 2019, one of my goals is to get a few songs on the Billboard Hot 100 charts. Do you have a tour coming up or where we can see you performing? What we can expect of Parker Polhill in 2019? LOTS of music! I’ve been holding out on y’all but 2019’s about to be my year! What is the feeling to be named “Atlanta’s First True Pop Star”? I love it! haha shout out to Usher though. I’ve gotta bring some heat to back it up though as of now that’s just people talking. I’m excited for 2019 to get more music out there to prove I’m Atlanta’s Pop Star. This music I’m about to give y’all in 2019! I’m a motivated and confident person. I think my confidence takes me a long way. To me happiness is when you’re living in the moment not thinking about anything else besides what you are doing in that moment and being completely content not wishing to be anywhere else. Sports! Mainly football and basketball but I love most sports. Wake up. Check email/ social media. Get something to eat. Then start creating. Workout in the evening. Dinner. Listen back to what I made that day or start on a new idea until i’m tired enough to go to bed. I usually fall asleep after an episode or two on Netflix. This is when I’m home not traveling though and I travel probably half the time. Falcons W and a relaxing day with the fam. Women that talk about their ex-boyfriend on the first date are big no go’s for me. Either Jesus or Elon Musk because they know so much. I would love to have a conversation and see why they think the way they do. Of course! Charity Water is the only big organization I’ve supported, but I like supporting specific people who are going on mission trips. A few platinum albums in, working on the next one or getting ready to go on tour. I’m either bummin it with sweats or ballin on em. No real in between for me. I enjoy social media and it’s a good marketing tool and everything, but it’s weird how much information on your personal life is available for anyone to see. @parkerpolhill on all platforms. I use Instagram the most though for sure. Favorite Movie: Right now, my favorite movie is BLACK PANTHER. Or any of the Marvel movies honestly. Disney’s going crazy with it. Favorite Travel Destination: I recently went to London for the first time and I love it there! Real cool culture and vibes out there. Favorite Food: Either Mexican or Italian food.